Sunday May 7th is Spanish Mother’s Day, a day when Mums deserve to be spoilt rotten! The Kempinski Hotel Bahia in Estepona have two great treats for special Mums, a Vitamin C facial at the spa and an afternoon tea at the hotel. The spa treatment is a 50 minute VIT C Facial, a nutrient rich treatment with the antioxidant power of vitamin C, which engages the senses, stimulates the production of collagen, reduces inflammation and intensely hydrates. There is 20€ off this special treatment for Mother’s Day and it’s ideal for Mums wanting to improve their skin’s luminosity and firmness and be pampered. The Mother’s Day price is 95€ and there are gift vouchers available which can be used throughout the year. The experience includes access to the spa facilities including the fitness centre, indoor heated pool, steam room, Finnish sauna and relaxation room. 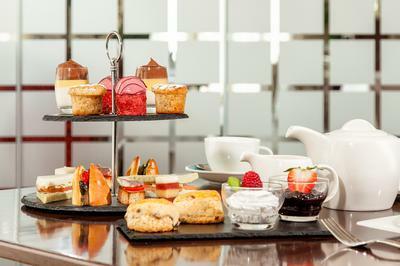 Alternatively, enjoy a modern Afternoon tea at the Kempinski’s Bahia Café, which combines the foundation of a traditional tea with modern twist, serving cream scones, tea sandwiches with Spanish touches, Andalusian Sweets, and muffins with delicious teas and coffees. For Mother’s Day the team are including a free glass of cava with the afternoon tea for the normal price of 20€ per person.